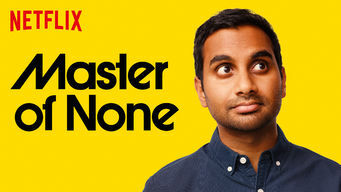 How to watch Master of None: Season 2 (2017) on Netflix Bangladesh! Yes, Master of None: Season 2 is now available on Bangladeshi Netflix. It arrived for online streaming on October 4, 2017. We'll keep checking Netflix Bangladesh for Master of None: Season 2, and this page will be updated with any changes. Dev tries to jump-start his acting career and elevate his dating game with help from his eclectic group of friends in this award-winning series. Great friends, hot new dining spots, spontaneous adventures. He's living his best life. But he's ready to level up. Season 1 of Master of None has 10 episodes. Because different Netflix countries have different availability for episodes, you'll need to check the episode listing below to see which are available in Bangladesh. First-generationers Dev and Brian try to show their appreciation for their immigrant parents at a joint family dinner. Dev's plan to score a date with a pretty waitress by inviting her to a concert doesn't have quite the result he wanted. Dev has a series of eye-opening experiences after he encounters some casual racism in TV auditions. Dev has the chance to hook up with a woman he meets at a party, but the opportunity comes with a few complications. For his first official date with Rachel, Dev decides to go big and take her to Nashville for the weekend. Rachel and Denise school Dev and Arnold about the difficulties of being a woman in a world of creepy dudes. Dev is inspired to embrace feminism. An unexpected death inspires Dev and Rachel to visit Rachel's grandmother, while Arnold contends with a strange inheritance. Dev and Rachel discover that living together isn't always going to be a series of happy mornings free from conflict and dirty clothes on the floor. After attending a wedding and a movie premiere, Dev and Rachel have to face up to all kinds of issues between them. Season 2 of Master of None has 10 episodes. Because different Netflix countries have different availability for episodes, you'll need to check the episode listing below to see which are available in Bangladesh. While studying pasta making in Italy, Dev makes a serendipitous connection on his birthday, only to have his plans upended by a thief. Arnold stops by on his way to a wedding to explore Modena with his Little Bud. But he hasn't told Dev the whole truth about his trip. Back in New York, a visit from observant Muslim relatives puts Dev in a tricky position. He introduces his cousin to a forbidden pleasure: pork. Sucked into a popular dating app, Dev winds up on a string of awkward, fun and disorienting dates with very different women. As Dev and friends head to a theater to see the hit movie "Death Castle," the lives of several ordinary New Yorkers intersect in subtle ways. A sweet job offer forces Dev to take stock of his priorities. Brian helps his dad with a romantic dilemma. A cupcake competition judge gets cold feet. Over a series of Thanksgivings from the '90s to the present, Denise settles into her sexuality and faces the challenge of coming out to her family. When Francesca returns to New York for a month, Dev plays tour guide and finds himself caught in a whirlwind of confusing emotions.